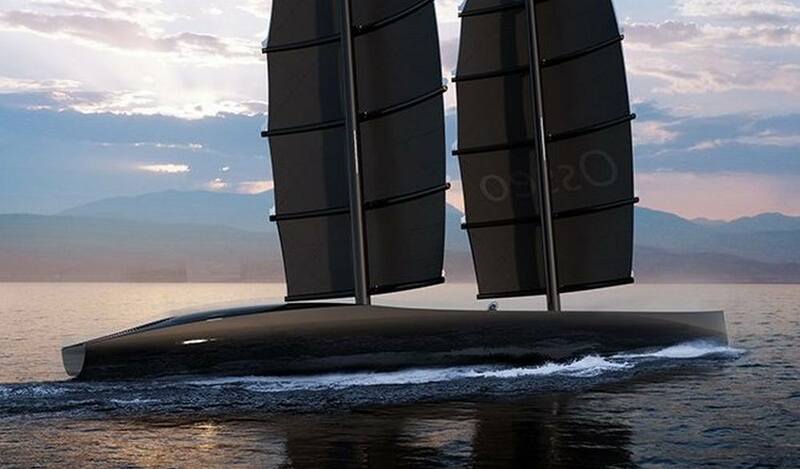 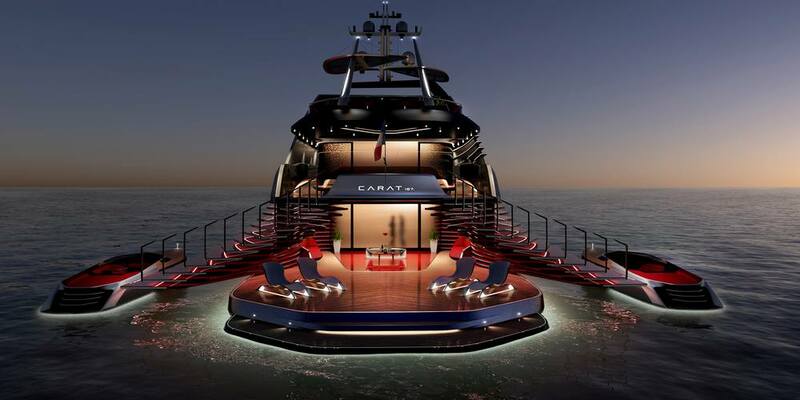 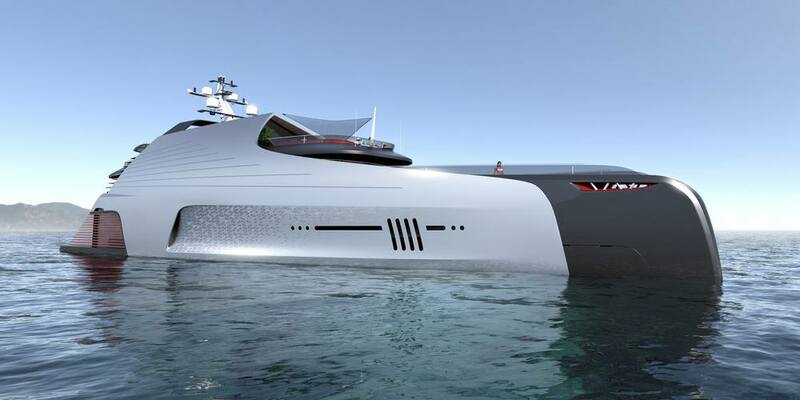 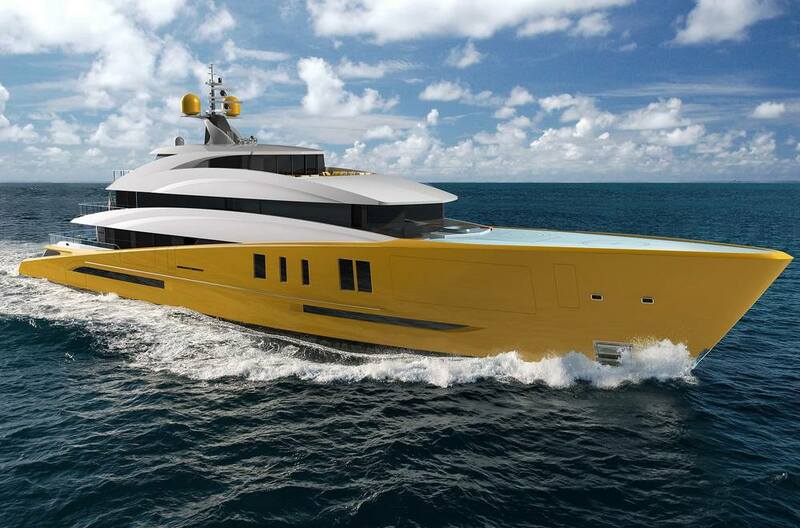 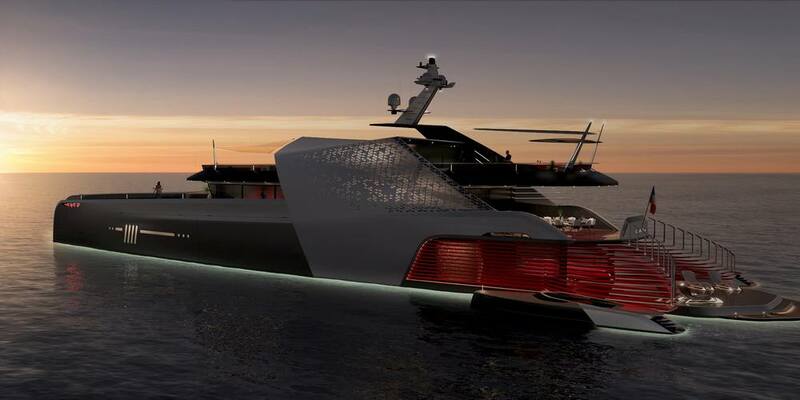 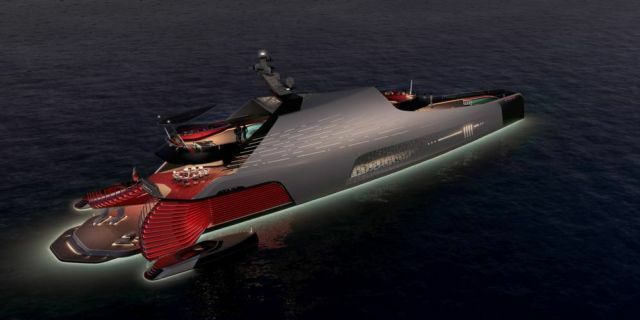 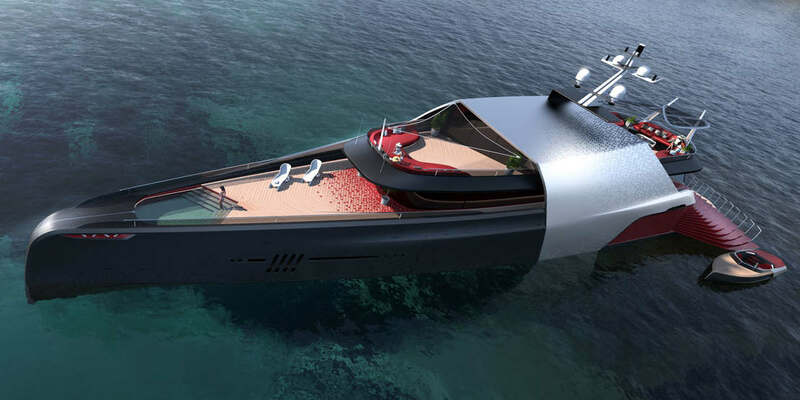 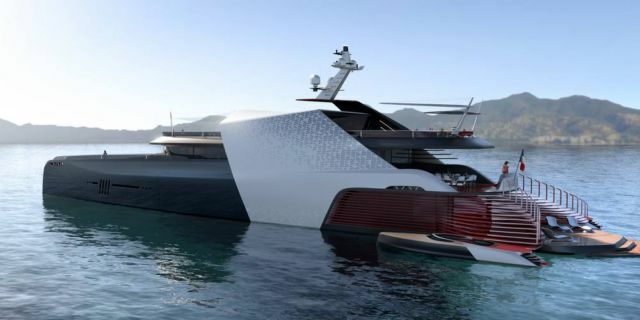 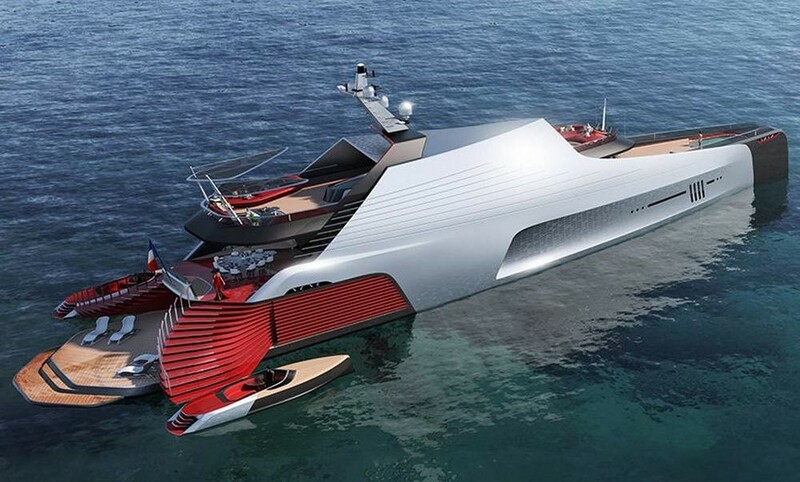 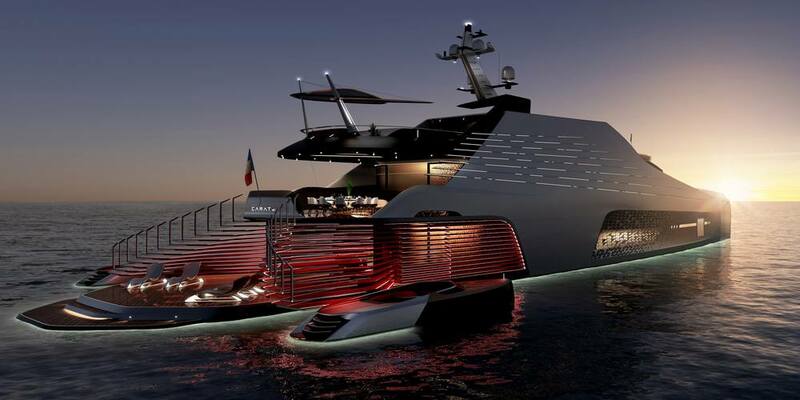 Carat 187 is a dramatic 187 ft superyacht concept created by an international design team responsible for award winning projects. Carat 187 project was envisioned by Gareth Davies, European Design Director at Technicon Design. 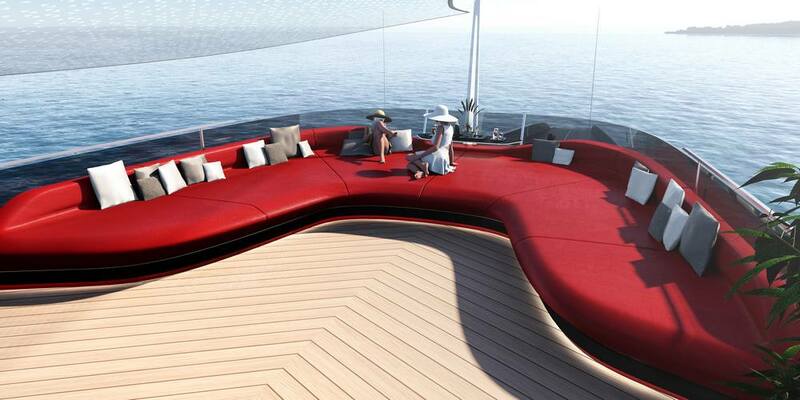 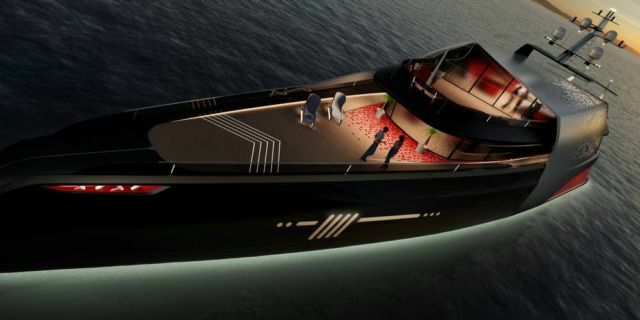 The “Red Carpet” (Tapis rouge) inspiration was the central theme of this project with two dramatic articulated stairs to the rear of the yacht. 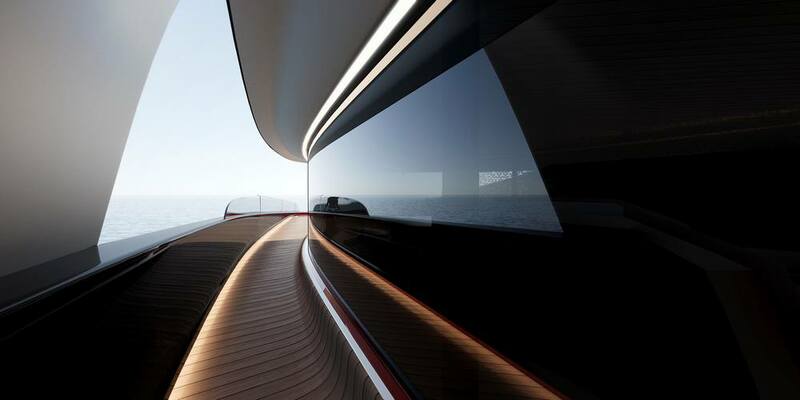 The two tenders give an original and impressive silhouette to the yacht when the stairs are deployed and underline the exclusive luxury feeling.